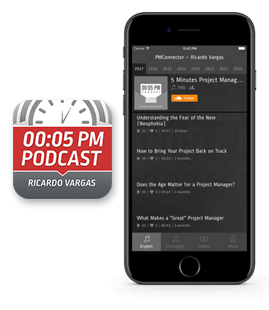 In this podcast Ricardo presents the PMBOK Guide (c) 4th Edition process flow. In the flow, the 42 processes of PMBOK are organized based on the natural project flow and not by the knowledge area. The final artwork of the flow is available for free download at www.ricardo-vargas.com (download area). In this podcast Ricardo presents the highlights of the award promoted by the British magazine The Economist for the most important innovations of the year. Ratan Tata for the low cost car "Tata Nano" and Mark Zukerberg, Facebook founder, are among the recepients. Topics of how project management is critical for innovation implementation were among the discussed items in a 2 day meeting with more than 120 people from all over the world. In this second podcast about standards and ISO, Ricardo provides updated information about the ISO TC236 (Technical Commitee 236) that is developing the ISO 21500, which is fully dedicated to project management.